Jane Workman’s career in real estate spans over thirty years. A second generation Pasadena native, she attributes her success to a number of factors: her love and enthusiasm for the architectural character of the area, her broad knowledge of the real estate industry, and her exceptional ability to facilitate her clients in attaining their goals. In fact, Jane’s commitment to customer satisfaction dates back to childhood, where she learned the value of providing impeccable service while working in her family’s successful retail business. Over the last 30 + years she has gained a broad experience in residential, real estate development, commercial and multi-family. She obtained a California Real Estate Salesperson license in 1984, Real Estate Brokers license in 1992. Understanding the complexity of the various types of real estate transactions, Jane often develops teams to successfully meet client’s needs. These have included building teams and partnerships for New Home Marketing and Sales for Developers and Buyers of new homes, to service Sellers and Buyers of existing homes, Commercial and Investment Properties including the 1031 Exchanges. She works with a proven team of Lenders, Escrow Agents and Transaction Coordinators to assure success in every transaction. Jane Workman has represented both Buyers and Sellers since 1983, and has negotiated successful transactions for her clients through virtually every conceivable market cycle. She began her career when her interest in architecture and interior design prompted her to join Cantwell-Anderson, Inc., a Pasadena-based real estate development firm. Known then by her maiden name Jane Brummelkamp, she gained a wealth of experience in construction, financing, sales and marketing, and investment principals, while playing an integral role in the marketing of many new homes, townhouses, apartment complexes and garden-style commercial properties. During the 1990’s, Jane operated her own independent real estate brokerage company, held the position of Director of Sales and Marketing for TELACU Development Corporation, and consulted for a number of Developers and Builders. In January 2000, Jane joined Coldwell Banker’s Old Pasadena office and quickly gained recognition in the International Presidents Circle based on her volume of business. She had a successful multi-faceted business working with Buyers & Sellers of residential, commercial, and investment properties, and represented developers and Buyers of several large new home and mixed use developments in Pasadena, South Pasadena, La Crescenta and Azusa. In 2011, attracted to the many advanced technological tools and client oriented services provided by Podley Properties, Jane left the large corporate company for the well established local brokerage of Podley Properties with a long reputation for excellence and customer service. The friendly and helpful staff, and warm welcoming office environment of all of there offices in La Canada, Pasadena, Sierra Madre, Monrovia and Glendora make it a great workplace. In addition to her love of helping Buyers find just the right property for them, recently she has specialized in helping homeowners, and families of elderly or deceased, in the clean up and staging of the family home to attract today's homebuyers. Jane moved to La Canada Flintridge 20 years ago where she lives with her husband. She enjoys walks through Descanso and Huntington Gardens, interior design, home improvements and travel. 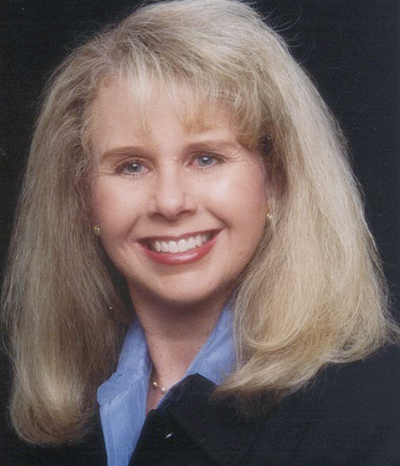 Jane has been active in community groups and has held management positions as Chairman and Committee Member of the Housing Opportunity Committee of the Pasadena Foothills Association of Realtors, Pasadena Jaycees, Pasadena Junior League, The Thursday Club of La Canada Flintridge and is a volunteer for Pasadena Heritage.